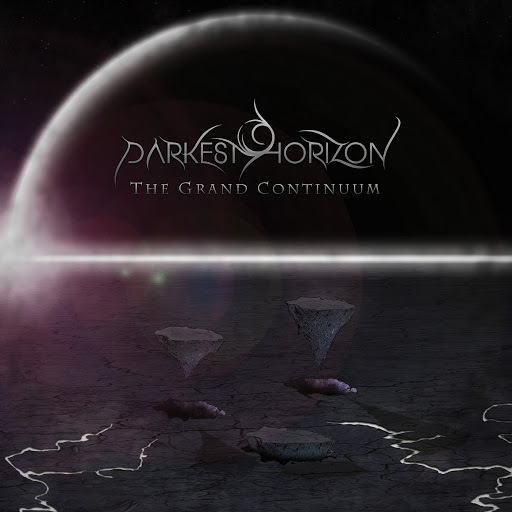 On the 12th of July Darkest Horizon unleashed their fullblooded beast The Grand Continuum. The german orchestra has recorded it with the following musicians: Jonas ‘Joey’ Heinzel, bass, Phil Hammelmann, drums, Oliver Sattler, guitars, Daniel Baum, rhythm guitars, Christian Mühlbauer, keyboards, and Aurelius Lie, vocals. Continuing straight forward towards Singularity Omega – the fastest composition in the album. Even though it’s rather concise compared to the other songs, it leaves a remarkable after taste. I switch to cosmic regime with Interdimensional – ten minutes of traveling down the path of self-knowledge, finding out the meaning of ‘divine’ and differentiating it from the ‘human’. An outterspace track indeed. But this doesn’t stand only for the longest song in the album. It is also about the effort as a whole. The nine opportunities to fall inlove with Darkest Horizons music are unique in their own special way. I haven’t asked myself once ‘How come I already know this sound?’. If the rebirth of the Universe had a soundtrack, it would definitely be The Grand Continuum. Original, fatefully striking, memorable and for sure different from everything ever made, the album deserves its place among my 2014 favourites. Are you still wondering if you should give those talents a chance? Listen to their EPs – Shattered Skies (2011) and Scattered Worlds (2013). Enjoy now. Thank me later.